Art, spirituality, creativity, culture and romanticism are the traits that well define Pisces. They love to remain sentimental and try to make their own world in their dreams. They are qu ite emotional in nature and are needed to get taken care of by people who are close to them. They often get jealous to the people who garner more success in life than them and people tend to take advantage of the same. They are quite sensual and used to get pleased with whatever turns their senses on. In order to choose a gift for Pisces you need to know their personality traits beforehand, so that you could actually make the right choices. Pisces are quite loving and creative from the very essence and always try to take their creative level to the next auteur. Art, history, romance, religion, jewelry and anything that consists the flavor of creativity attracts them. Beautiful things and Mother Nature are loved by Pisces. They are deeply in love with water sources such as oceans, seas, and rivers. They love to eat and music makes them turn on to anything. All in all, they are very close to the nature and are deeply intervening in acquiring the juices of nature. If, there still persists any doubt regarding what you could actually give Pisces to make them happy, then these points would surely make you firm your decision. As you have read earlier that Pisces are quite romantic and sentimental in nature. Hence something related to their families and their closed ones make them feel happy. You could give them gifts made by your hands such as some photo frames, memoirs of any such, some oil paintings or sketches depicting nature or any other creative gifts to them. An aquarium could well be an amusing gift for Pisces and they would become thoroughly happy after getting them as they include both water and animals in them, which is loved by Pisces. As they are quite attached with creativity and are interested in making things on their own, they have a strong interest towards music. Anything that persists music in it could make them happy. They also love to make their own collections of classic music CDs and DVDs for their own interest. Comfort and care are what Pisces desire from their loved ones. You could give a soft blanket or a piece of cloth that could make your intention quite clear to them that you do care for them. You could also make them happy by taking them out to dinner stuffed with fine food and a great wine. Jewelry is another such item that Pisces gets appealed to. They love to wear gemstones and artistic jewelries in various occasions and parties. They too love to get them as gifts from someone they really love and this makes a special space in their hearts. 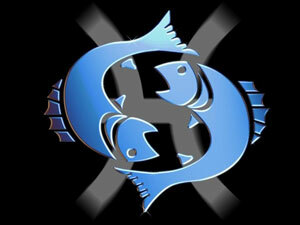 Above all would get fulfilled if only you could spend some quality time with Pisces. This alone could raise your chances of impressing Pisces more than any material gifts.